One-half of the mighty 4Hero, it's hard to make any mention of Marc Mac without using words like legend or pioneer. Along with partner Dego, they helped change the face of current electronic music, not just in the UK, but around the world. For long time fans, the first mention of 4Hero isn't just how great the music is, but how gifted they've been in creating so many different styles of music. Jungle, Drum & Bass, Hip-Hop, Soul, it all came naturally, and it was all equally exceptional. Pick up a record on Reinforced, a label which Marc Mac co-founded in '89 and hailed as one, if not the most important and innovative Drum & Bass labels in the '90s, and play it next to a project made more than a decade later, How About A Game Of Chess?, and you start to get an idea. Over the years Marc Mac has produced and co-wrote tracks with Jill Scott, Terry Callier, Azymuth, Ed Motta, Jody Watley, Shaun Escoffery, Ultra Nate, Vikter Duplaix, Ursula Rucker and Mark Murphy among many others, and remixed everybody from John Coltrane to Masters At Work. Current projects for 2011 include: Visioneers limited edition 45's in January followed up by a new LP. Production for New York MC, T.R.A.C., on his upcoming BBE album. A new album from Marc's aliases work, Nu Era, and finally, new music from 4Hero. 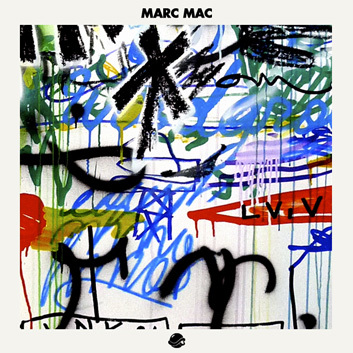 Marc Mac has been someone I was hoping to connect with since BTS' start in 2003. A producer deserving of the utmost respect, we're very proud to share this guest mix with you.